This is a Message of Love I channeled in this morning for Valentine’s Day 2016. Can we share love beyond Valentine’s Day? I think we can. Why wait til this one day when we can do this every day?? It may take work, but so worth it! On this and every day, we should strive to share love unconditionally. We need not give love to expect anything in return. We can share love with no strings attached. Why wait until just Valentine’s Day to share love? We can do this every day. But we also need to share love with ourselves. And this is not what unconditional love is about. Unconditional love is about loving the good, the bad, the whatever it is without placing judgement on it. Unconditional love of others is about loving the person, not necessarily the actions. It is about loving yourself even if you see mostly flaws. Your flaws are beautiful and are what make you who you are. Love every part of you, every day. Once you are able to see yourself lovingly and with love, you open yourself up to receiving love. And this flow of love from you to you, from you to others is about allowing your heart to be fully open. Fully loving is about letting go of past hurts and allowing you to trust you. It is about allowing your love to flow as it is the best feeling in the world. 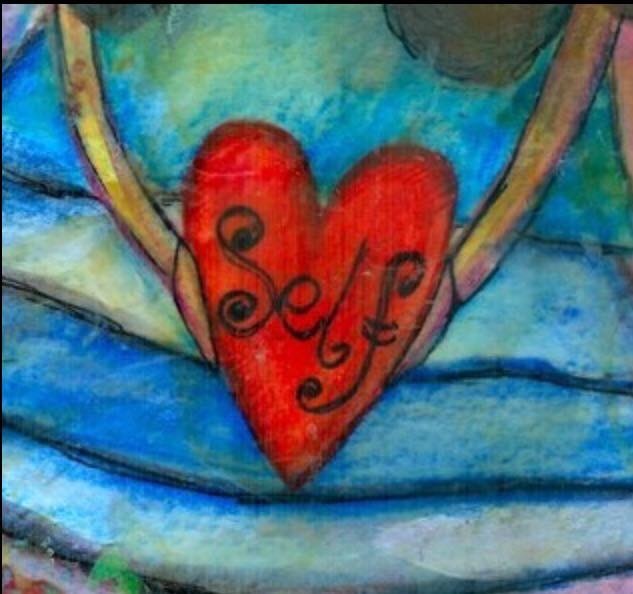 When you love yourself, then you can share your love more completely and not get caught up in whether you will get love back. You always will receive love if you give love. You will start to see the surroundings as love. You will start to feel love from others even when you were not looking for it. Take this time today to love yourself and allow that love to overflow. Then take this day and make it a practice every day. When those voices come into your head saying you are not worthy, tell them “Yes, I am worthy!”. We are all worthy of love. Do what you need to do to feel love for yourself. Honor yourself with love and you will ignite a flow from within you that will make you feel more alive than you ever have. Love has no boundaries except the ones we have put on it. Release these boundaries and set your heart free so that love can flow both inside and through you, and allow it to radiate and touch others. You won’t need to expect anything in return. You will receive love if you give love. But start with yourself, and love yourself without conditions. Loving you begins the day you let go of the conditions and love yourself with all of your perfect imperfections. – kind in what you feed the body with physical foods and with exercise or meditation. – kind with thoughts about yourself, how you look and give yourself permission to be yourself. – kind with choosing activities, people and things that bring you joy and happiness. What will you do today to increase the kindness to yourself?? This message was lovingly channeled in this morning via Joanna Chodorowska, holistic nutrition coach, master Path To Heal practitioner and essential oils junkie helping you find balance body, mind and soul. If one is out of balance, the body is not working at its full potential.